Any one or any combination of these conditions can quickly make door repair on your home necessary. The first indication that your door needs maintenance is usually split or decayed areas on the bottom section of the brick molding often accompanied by splits or decay in the door jamb where it meets the threshold. A dark color or dampness on the bottom edge of the door is an indication that the threshold or weatherstripping is not sealing properly. 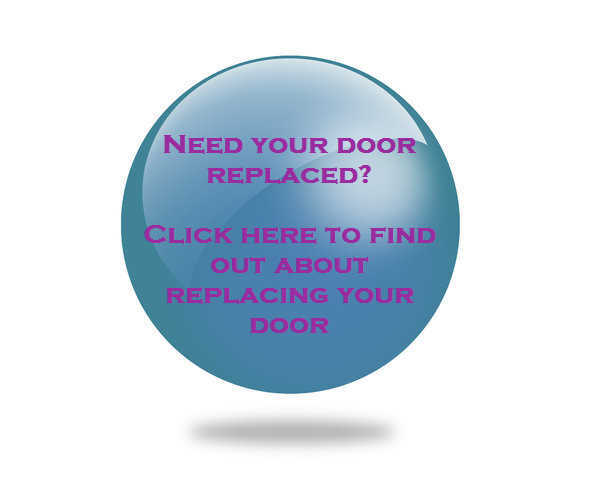 If the damage is found early enough, a good door repair can be effected without the need to replace the door. For more extensive damage the door may need to be replaced. 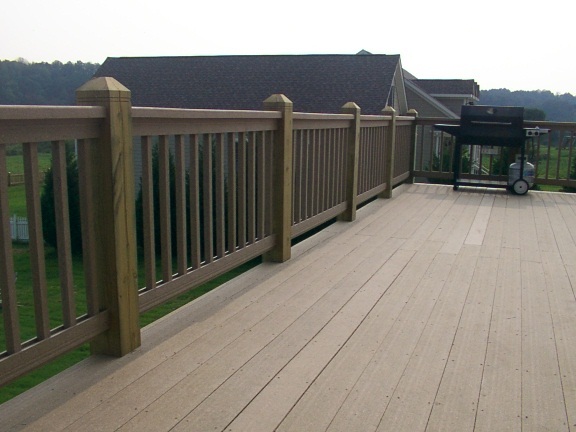 The reason for the damage should first be identified and the door repair should not only take care of the existing problem but prevent or slow down a recurrence of the problem in the future. Replacing the brick molding with new PVC brick molding is a good first step to a quality door repair job. If the jamb is damaged it can be repaired or patched in several ways depending on the severity of the damage. And of course caulking and painting are paramount in any door repair. Keeping excess moisture off the door is the most effective way to prevent damage and one of the best ways to achieve this is with a storm door. Read Storm doors, A good looking investment for your home, for some insight into why storm doors are such a good idea. Other ways to help protect your door is with gutters or rain diverters. Lastly one of the most overlooked reasons that door repair becomes necessary is an improperly supported threshold. If the threshold rocks back and forth when stepped on it is not supported properly. This rocking motion causes the caulking between the threshold and jamb to break down, allowing water penetration. 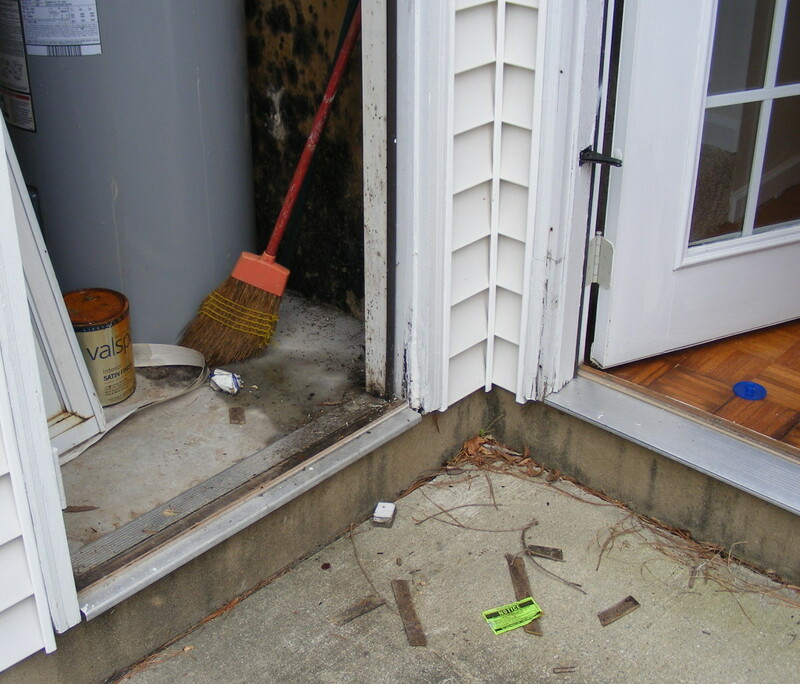 The addition of a treated or vinyl ledger support board under the exterior lip of the threshold will stabilize it and allow the caulking to remain intact. This entry was posted in Exterior Maintenance, Painting, Windows & Doors and tagged Brick molding, caulk, damaged wood, door repair, door repairs, doors, gutters, maintenance, painting, sealing, storm doors. Bookmark the permalink. If you have pieces of glass missing and need to cover it, you should cover the broken area with several layers of thick clear plastic, cut to size with scissors. If plastic is not available, a sturdy trash bag can be used. Tape the plastic into place using clear packaging tape. A staple gun may be used if securing the plastic edges to a wooden window frame. Secure the plastic to the outside of an exterior window, if that is a practical option.